. 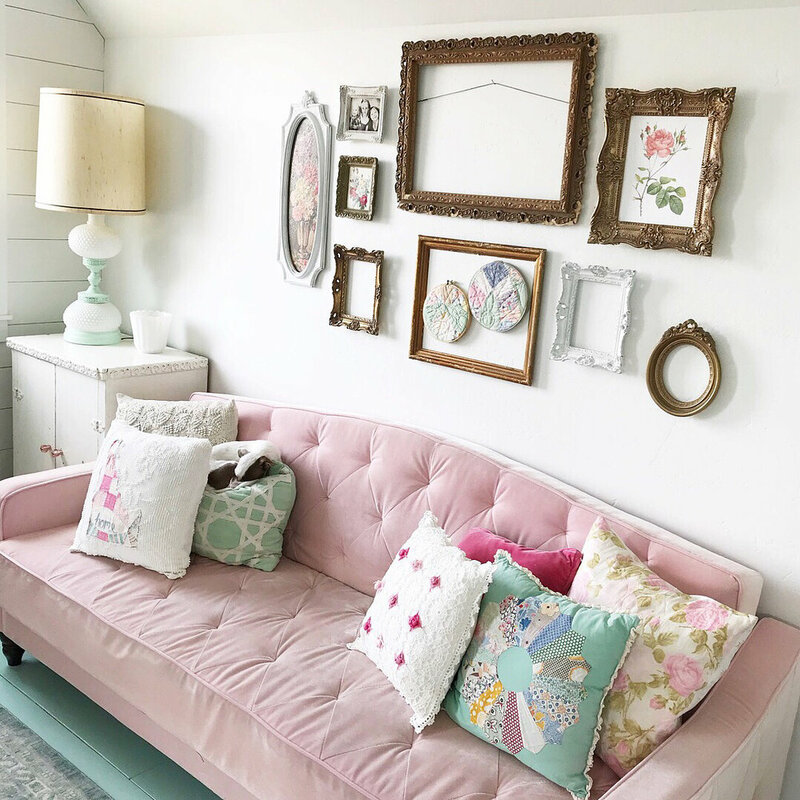 A sweet vintage-style corner from @whimsicaltreasuresdecor .
. Elegant, muted and feminine from @welcominghome .
. A charming farmhouse spot from @mydiyrusticway .
. An airy Valentine's Day retreat from @ourtexanhomestead . This meeting of #pillowsociety is now adjourned. We'll see you next week!